ePublishing Knowledge BaseePublishing Knowledge BaseePublishing Knowledge Base Common QuestionsWhy and how should I reduce the size of my images before uploading them to my website? Any image you add to your site should be prepared specifically for the web. This keeps your site visitors on slower connections from being frustrated by a slowly loading home page or article, and your mobile users from eating up their data plans by just downloading images for your website. Using your graphics software (like Photoshop or Sketch), make sure your image has been sized to meet the height or width limitations of your website. If you are not sure what those are, please either look to your site documentation (which may have a section on recommended image sizes), look on your existing website, or talk to an ePublishing project manager. Optimize your image for the web. Depending on which graphics software you use, look for an option that allows you to optimize for the web. Photoshop calls this: Save for Web. Sketch call this Save for Web when exporting. Our recommendation is to set the quality filter (if provided) to 70% to create a good-looking image, that is a small file size. 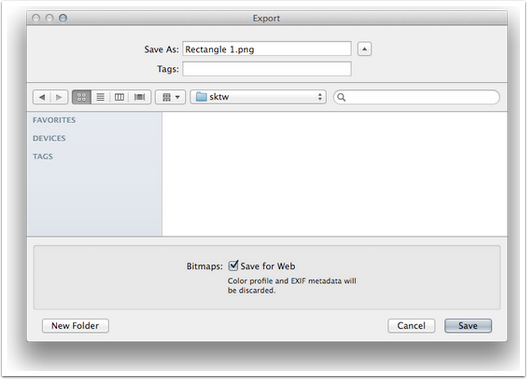 In the latest versions of Photoshop, you'll find this under Export > Save for Web (Legacy). Typically, clicking Save with no adjustments will work. You can also change the file type in the top right if you'd like to test image quality. OPTIONAL: Run image through an image optimizer. 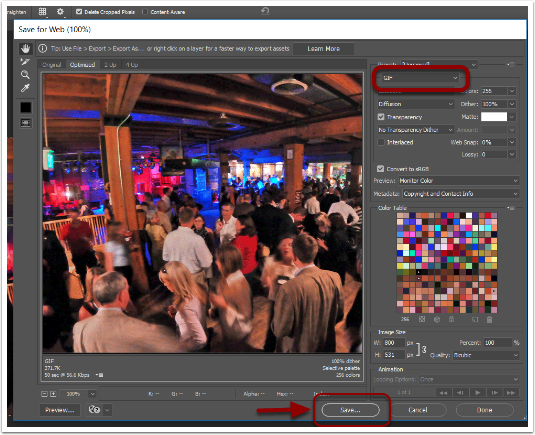 You don't have to do it, but it can allow you to have the smallest file size possible, and maintain image quality. There are many options if you choose to use this step. What do I gain by doing this? Below is a real-life example of file size and dimensions. The time to download the image dropped from over a minute (on a slow connection) down to 2 seconds. Imagine the file size noted here for one image occurring for every image on your site. You can see why putting time to make your image file sizes as small as possible while maintaining image quality, your pages load quickly and site visitors won't leave the site because the page is slow to load. Next: How do I clear Twitter and Facebook Cache?